The "Donetsk People's Republic" (DNR) and "Luhansk People's Republic" (LNR), which are officially considered terrorist organisations by the Ukrainian authorities, will hold "parliamentary elections" on Sunday, 2nd of November, on the territories occupied by them with the help of the Russian army. These "elections" are widely considered illegal and illegitimate, and UN Secretary-General Ban Ki-moon deplored "the planned holding by armed rebel groups in eastern Ukraine of their own “elections” on 2 November, in breach of the Constitution and national law" adding that "these “elections” will seriously undermine the Minsk Protocol and Memorandum, which need to be urgently implemented in full". Nevertheless, the Kremlin is said to be willing to recognise these "elections", yet again completely dismissing the advice from the UN let alone defying the laws of Ukraine that Russia has invaded in February-March 2014. The DNR/LNR "elections" will not be recognised as legitimate either by the EU or the US that threaten Russia with further sanctions for undermining Ukraine's independence and sovereignty. As it happened before, the Kremlin will employ puppet "election monitors" that will "observe" and legitimise the "elections" held by the terrorists. Evidence suggests that two "election monitoring organisations" have been in charge of setting up the "election observation missions" for the DNR/LNR: the Eurasian Observatory of Democracy and Elections (EODE) run by Belgian fascist Luc Michel and the European Centre for Geopolitical Analysis (ECGA) run by Polish far right politician Mateusz Piskorski - both have been in the service of the Kremlin's foreign policy since 2005-2006. * - Part of the "observation mission" in the Russian Rostov region. ** - Part of the "observation mission" in the Russian Voronezh region. *** - Part of the "observation mission" in the Russian Belgorod region. My analysis of the movements of these international "election monitors" shows that they arrived in Donetsk from Moscow via Rostov-on-Don. This means that they have all entered Ukraine illegally, as they did not pass the official Ukrainian border control. Thus, all of them can be prosecuted for the crime of illegal border crossing. 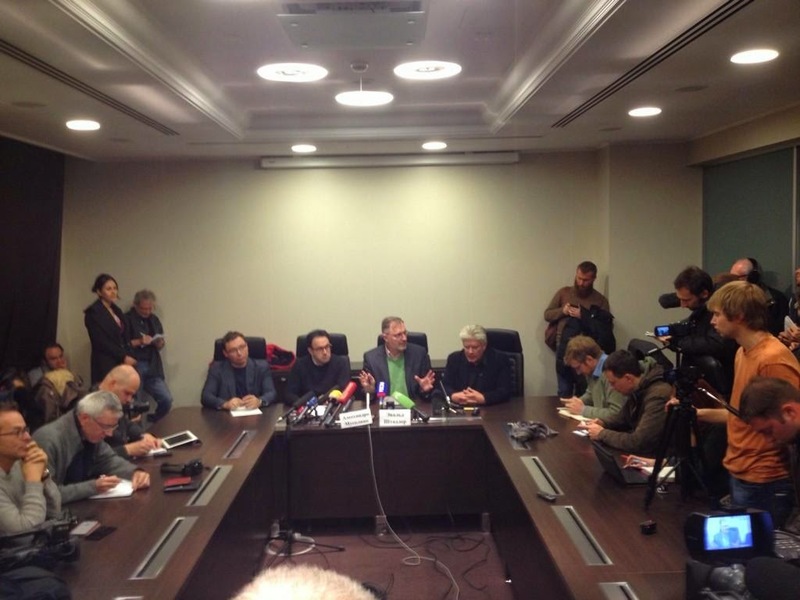 According to Moscow-based journalist Alec Luhn, at the press conference in Donbass, the international "observers" suggested creating the Association for Security and Cooperation in Europe (ASCE), but then Stadler proposed the name "Agency for Security and Cooperation in Europe" (ASCE). The name obviously refers to the Oganisation for Security and Cooperation in Europe (OSCE), an international organisation that, in particular, monitors elections in different parts of the world. Since it provides objective and independent monitoring of elections and referenda, the OSCE is hated by the EODE and ECGA, as well as Russian authorities. However, while constantly vilifying and trying to discredit the OSCE's observation missions, Russian state-controlled media intentionally present fake "election monitors" as members of the OSCE. 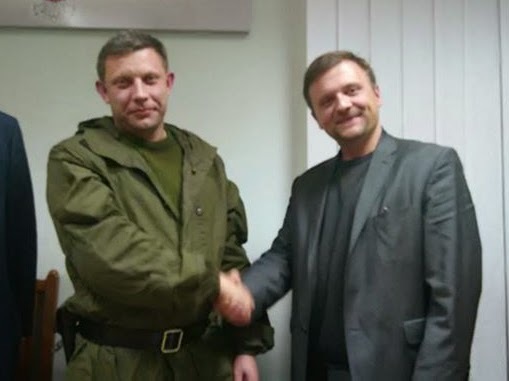 For example, in March 2014, Russian TV channel "Rossiya 24" claimed that notorious fascist Michel was the "organiser of the OSCE observation mission" at the illegal "referendum" in Ukraine's Autonomous Republic of Crimea that Russia annexed afterwards. 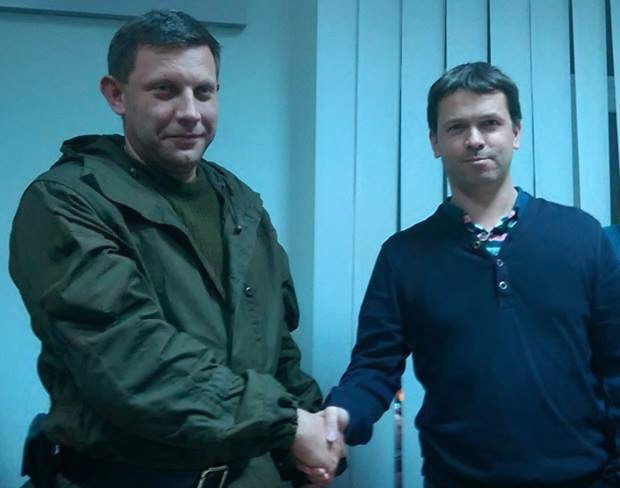 Belgian fascist Luc Michel, the head of the EODE, in Crimea. 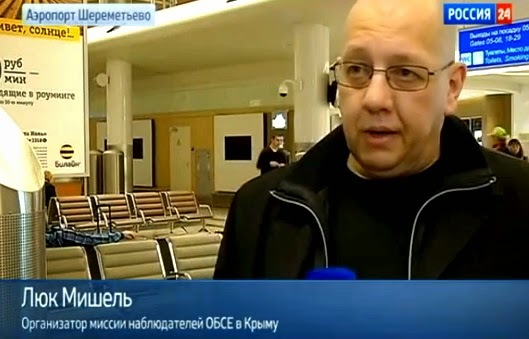 The caption reads: "Organiser of the OSCE observation mission in Crimea"
This imposturous presentation of Belgian fascist Luc Michel, to the Russian-speaking audience, as the "organiser of the OSCE observation mission" and frequent references to the OSCE monitors allegedly present at dubious "elections" reveal the high status value of the OSCE even in the generally anti-Western context of today's Russia. The "elections" planned for the 2nd of November may be a start of a new offensive of the DNR/LNR extremists against the Ukrainian forces. There is a non-zero chance of a false flag operation against either the "observers" or people at "polling stations" that would be a pretext of such an offensive. Someone may be killed by the (pro-)Russian extremists dressed in uniforms of Ukrainian forces to discredit Ukraine and/or divert the international attention from the illegitimate "elections" to the killing(s) of "election observers" or "voters". The chances are low, but such a development cannot be ruled out. Anton, can you tell me where this list of observers was made available? Thanks! May I ask why do you call RIA Novosti and Russia Today "disinformation services" - no offence meant, just curious. Also, what do you think these observers are hoping to get from this mission? It may be obvious to you, but not so obvious to me. Would appreciate if you comment.